Within a month of the release of Greenpeace report “Enabling Clean talking”, more than 70,000 concerned mobile consumers across India have joined its public campaign to phase out diesel from telecom sector by sending SMS and faxes asking Mr. Sunil Mittal to go clean by making public commitment for implementation of Green Telecom directive issued by Government of India. “Enabling Clean Talking” outlines the roadmap for complete diesel elimination from the Indian telecom sector by the year 2020 through progressive action of massive renewable energy deployment and enhanced energy efficiency measures in its telecom network infrastructure. The report refers to the green telecom directive issued by Government of India and also provides advanced roadmap for substantial financial saving for the sector by switching to renewable energy. The report estimates that if the telecom sector aims for complete diesel elimination by the year 2020 across its all network towers, it can save on energy expenditure to the tune of INR 80,000 crore with net investment benefits of INR 13,000 crore in the next 8 years. 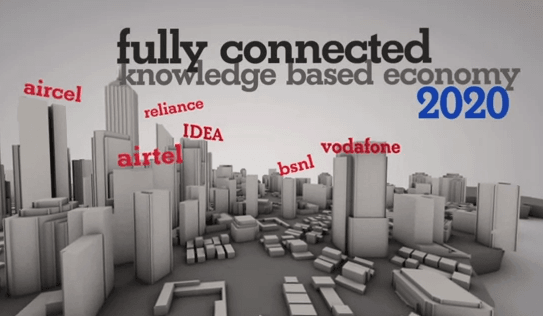 The report is being widely accepted by all stakeholders including the telecom operators. Recently, Tower and Infrastructure Providers Association (TAIPA) had announced its intention for deployment of renewable energy technologies in 500 towers on pilot basis. This was a part of its commitment for powering 100,000 towers by the end of 2013 through renewable energy. However, there is little action seen from the telecom sector lead by Bharti Airtel in disclosing carbon emission for their entire business operation and supporting the initiative for roll out of renewable energy technologies in network towers at significant scale as mandated by green telecom directive. The second deadline for carbon emission disclosure by telecom operators under the directive is fast approaching and there is not much action seen on ground meet this deadline. There is a fear of non-compliance of the directive once again by the telecom operators and therefore, a decisive action from Bharti Airtel and its chairman as demanded by mobile consumers across the country is critical. Bharti group is at the forefront of the wireless network distribution and has a high potential to tap the opportunity in energy-scarce emerging market of the world. · Disclose the carbon emission of its entire operations including network infrastructure supply chain and set ambitious emission reduction target with objective of complete diesel elimination by the year 2020. · Encourage the tower companies to move away from expensive & dirty diesel to cleaner source of energy and work towards a roadmap for the implementation of green telecom directive by 2020. · Make long term investment plans for the co-development of renewable energy source for the telecom tower infrastructure and lead the low carbon race. i also agree to ‘switch off diesel’ because i’m also from telecom sector so many telecom technician’s are chor and they stole diesel from tower so many times network down ane diesel is cause of pollusition so take action.